Judyth Vary was born in South Bend, Indiana on 15th May, 1943. She attended Manatee High School where she developed a keen interest in science. Judyth received national attention for her cancer research while still in high school, including guidance from two Nobel Prize winners in biochemistry. 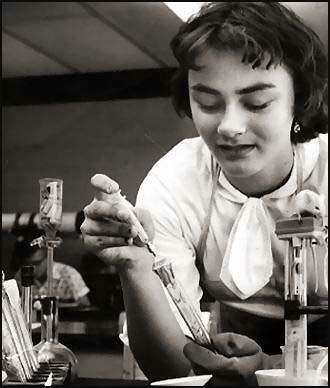 After graduating in 1961 Judyth moved to Buffalo where she worked on a cancer research project. Her research at the Roswell Park Memorial Institute continued through to spring of 1963 at the University of Florida. In 1963 Judyth married Robert Baker and over the next few years the couple had had five children. 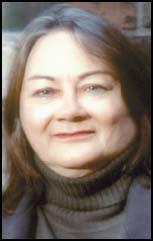 Judyth Baker also studied for a degree in anthropology at the University of Houston and a degree in creative writing at the University of Central Florida. Robert Baker divorced Judyth in 1987. She moved to the Netherlands where she was involved in running a small art gallery. Later she established the Lee Harvey Oswald Museum in Haarlem. In 1999 Judyth privately revealed her involvement in an anti-Castro conspiracy to individuals outside her family and to CBS Sixty Minutes investigators. In late 2000, newsgroups learned who she was and began speculating on what she had to say. She asserted she had been (at first unwittingly) recruited by Dr. Alton Ochsner and Dr. Mary Sherman into a get-Fidel Castro project that had the backing of the CIA and of the Mafia in New Orleans. In November, 2003 Judyth Baker appeared in the television programme made by Nigel Turner, The Men Who Killed Kennedy: The Love Affair. According to Judyth she was offered a summer medical internship with Dr. Sherman by Ochsner: she accepted, and came to New Orleans in April, 1963. Judyth met Lee Harvey Oswald and became involved on the clandestine side of the research project. Both had unhappy marriages and were attracted to each other. She and Oswald began working together: they were both hired May 10, 1963, at Reily's Coffee Company, which provided cover jobs for them. According to Judyth she accidentally learned about the clandestine side of the project before Alton Ochsner, who was out of town, was able to steer her to the legitimate side. She then became a willing participant in the project. At the same time, Oswald and Judyth began to fall in love. Neither had a happy marriage (Judyth was recently married to a man who promptly left her alone in New Orleans, and who in other ways neglected her). Oswald became linked to the project, partly to be close to Judyth. Judyth Baker also met such well-known persons as Guy Bannister and Jack Ruby, as well as several others, for whom she has provided documentation, who are new in the case, including a former Customs officer from Miami who expedited Oswald's passport on 25th June, 1963. Oswald, who had defected to the Soviet Union and then was able to return without a problem to the United States at the height of the Cold War, obtained his new passport in only 24 hours. According to Baker, the research into the biological weapon was hidden by using two or more secret mini-labs which were set up when Ochsner's Clinic made a massive move into new facilities in March, 1963. Equipment, animals, etc. were 'misplaced' during the move, the second-largest in the history of New Orleans. The basic project was set up March 23, 1962, using conventional facilities, which then expanded out of the loop for its final phases. Several labs were involved, including a tumor and tissue culture processing mini-lab, at an apartment owned by anti-Castroite Dave Ferrie. Baker argues that Lee Harvey Oswald learned how to handle the materials safely and keep them alive. He volunteered to courier the materials to Mexico City, where a medical student, doctor or intern was scheduled to take the materials to Cuba. Oswald made frantic efforts to get the materials, which had a short shelf-life, into Cuba himself when his contacts failed to appear. The project, in fact, had been called off because of Hurricane Flora, which devastated Cuba at this time. Oswald was ordered to Dallas: his "desire to go to Cuba" was never mentioned again by him. His transit visa to go to Cuba was approved in mid-October, but by then, Oswald had no more need to go to Cuba: he never used the approved visa, which arrived too late to be of any use in saving the biological materials. Judyth and Oswald planned to divorce and marry in Mexico after he had done all he could to help thwart the plans of an assassination ring, which he had volunteered to investigate. He believed he would have the help of the CIA to escape after providing information, but instead, due to his Pro-Castro activities in New Orleans, which had been under the handling of Guy Bannister (in order to identify Pro-Castroites in New Orleans), Oswald became the perfect patsy, even though he was on record as having admired John F. Kennedy. After the assassination of John F. Kennedy and the arrest of Lee Harvey Oswald, Judyth Baker claimed she received a phone-call from David Ferrie warning her that she would be killed if she told anyone about her knowledge of these events. Peter Cox claims the woman, whom he identifies only as Judith, was the lover of Lee Harvey Oswald at a particularly crucial time in his life: in the months leading up the November 1963 assassination of President John F. Kennedy. Cox told Publisher's Weekly he is bringing Judith, who has been living in seclusion in northern Europe for many years, to see a selected group of "top American publishers" this week. 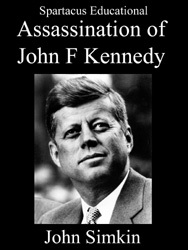 Her book, which Cox says is a finished manuscript, describes how Judith, a married woman and a Mormon, met and had an affair with Oswald, beginning in April 1963 and only ending with his death following the November 22 assassination. Cox insists he, too, was skeptical at first, since no hint of her existence had ever emerged, despite the intense scrutiny to which Oswald's every move has been subjected, but Cox was won over by what he calls "an incredible amount of convincing detail and documentary evidence" she offered. Why has she come forward now? According to Cox: "She wants finally to put the record straight, and feels she no longer has to fear for her life, as she did for many years." A woman mistaken for Judith, Cox said, was murdered in Mexico City 11 years ago, but Judith is unaware of any further JFK-connected murders (of which, according to assassination buffs, there have been about 40 over the years). "Judith's story will give a very different impression of Oswald from the one we usually get," Peter Cox said. "It's an extraordinary love story that gives him a human face." Even if one considers Bakers account implausible, one might reconsider if she has actual evidence to support her story. Indeed, she does have evidence. For example, she has employment records showing that she did work at the Reily Coffee Company at the same time Lee did. She has a green glass, of the sort that Reily gave to customers as a premium, that she says that Lee stole and gave to her, and which she treasures. How do we know that Lee gave it to her? She says he did. She has a letter from Senator George Smathers commending her for her prowess in the sciences. She says this shows that people in high places had noticed her and were slating her for a covert mission. There is at least one witness who confirms part of Judyths account. Anna Lewis, the former wife of one David Lewis, confirms Judyths claim that she and Lee went on several dates with Anna and David. This might seem like solid corroboration, but David Lewis was in New Orleans during the Garrison investigation, and was telling all kinds of stories - stories which even the Garrison people came to reject  about seeing Lee with Guy Banister, and with David Ferrie. She also claims to have at least one handwriting sample from Lee, in the form of inscriptions written in the margins of a book. The inscriptions are, conveniently, written in pencil, which means they cannot be dated as ink inscriptions could be. Are they in Lees handwriting? Judyth says they are, but when Judyths supporters, known to critics as Team Judyth, are asked about the verdict questioned documents experts, they simply claim that preliminary reports are favorable. I was assigned in Gainesville, Florida, to make certain compounds that help biological materials withstand liquid nitrogen freezing. Yes, I believe the materials we developed are in deep freeze. Jack Ruby was shown that extra x-rays were needed... or radiation... he also knew a large gauge needle was needed to inject cancer cells. It would be a painful, intravenous shot, not intramuscular, which would merely cause necrosis. He was a 'health nut' and experienced painful shots given him, as recounted by Al Maddox (I have additional written statements from Maddox), who was present when Jack Ruby died. Maddox was told by Ruby that he'd been injected with cancer cells. Ruby would have been able to figure that out, as explained above. Maddox said a doctor from Chiacgo (Dr. Sherman was from Chicago) gave the shots, then left Texas after Ruby died. Sam Giancana's book says a scientist 'from Illinois' was involved with the injection/radiation/cancer project to get Castro that Moody described to his brother. 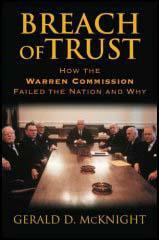 While Giancana's book is full of rumors and legends as well as facts, rumor indeed is what he reports coming out of the get-Castro project - and he was right on the money. For me, writing this book was difficult, stressful and dangerous. What began as an investigation into this single murder morphed into consideration of epidemics which killed millions of people and which cost billions of dollars. 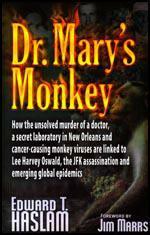 It became an investigation into an underground medical laboratory that was accidentally discovered during an investigation into the JFK assassination - a laboratory which secretly irradiated cancer-causing monkey viruses to develop a biological weapon.